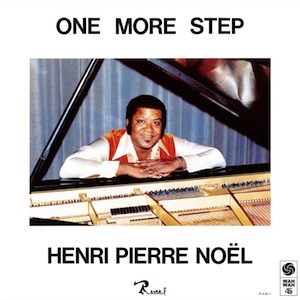 Candian-based, though Haitian born pianist Henri-Pierre Noël, is a fascinating musician whose myriad musical influences come together on this excellent set that is arguably stronger than the first re-issue and dates from 1980. It encompasses Latin, Caribbean, disco, gospel and Afro influences as well as Haiti’s very own folkloric kompa style and yet still comes out sounding distinctively the musician’s own voice. Discovered by DJ Kobal, producer Kevin Moon aka Moonstar has done an excellent job of bringing together the seemingly disparate elements into a cohesive whole. The delicious ‘Latin Feeling; is a strong contender for the album’s killer tune and has something of the feel of the Jazz Messenger’s ‘Moanin’ about it and lingers long on the mind. The combination of acoustic piano à la Ramsey Lewis and horns plus percussion makes for a truly classic jukebox groove to remember. Equally infectious is ‘Joy to me’ which is the catchiest of numbers with cowbell and blues-inflected piano to reinforce the message. Disco meets Afro head on with ‘Step (Fan)’ while the percussive-led ‘Roller Skater Rhapsody’. A real treat is the voice over, possibly by Noël himself, on the gospel flavoured number ‘Will come a day’ which makes for a reposing contrast to the rest whereas funky uptempo gospel piano alongside whirling synthesizer is a feature of ‘Funky Spider Dance’ with discofied female vocals making for a curious hybrid that actually comes off. So eclectic are the sounds on offer here that one wonders quite what reviewers and DJs made of this release when it originally surfaced at the back end of the disco era, Too funky by far for jazz purists and yet probably too intricate for fans of disco at the time. With the benefit of time and hindsight, we can now enjoy the music for what it is, a terrific fusion and kaleidoscope of sounds that seamlessly come together. Pierre-Henri Noël performed in July 2013 at the Jazz Café and it is to be hoped that more live performances will follow on from this excellent re-issue that demonstrates beyond doubt that jazz can be aimed at the dancefloor and still retain its integrity.